Quo Primum: Did VatII have the right to change the Mass? Is Vatican II valid and binding? What does the Vatican II say? What about communion in the hand? What about the hand shaking after consecration? My question is on going to Mass and which one to choose? I mean I have been studying both and find that for the richness and history of the Extraordinary Mass (Traditional Mass) is what one would go to. I ... find that the Ordinary Mass (new mass) ...not rendering Glory to God like the Extraordinary Mass does. (talking, playing, hugging etc.) ...seems like a social event instead of giving Glory to God ... God really is in the bread. ... I would be on my knees crawling up there to worship him instead of shaking peoples hands. ... why do they take the bread in their hands when their hands are dirty. There are many sensitivities over what to call the Mass promulgated in 1570 and the Mass promulgated in 1969. Sometimes they are called the New Mass and the Traditional Mass, or the Novus Ordo and Tridentine. For the purposes of this article we will follow the language of Pope Benedict XVI, calling the Mass of 1570 the Extraordinary Form of the Mass, and the Mass of 1969 the Ordinary Form of the Mass. In some cases we will call it the Novus Ordo, in order to recognise it being new. Archbishop Lefebvre, the founder of the SSPX, did not reject Vatican II. He also voted for the Sacrosanctum Concilium, which was the Vatican document on the reform of the Liturgy. What he rejected was the current rites, promulgated in 1969, four years after the council, though he did not argue they were invalid. Archbishop Lefebvre was also in favour of reforms that Pius XII made prior to the Vatican II Council, such as the shortening of the fasting period before Mass from 12 midnight to 3 hours before Mass implemented in 1953, and the introduction of evening Mass in 1957. Father Bob Bedard, a well known priest, recalled what it was like as a priest during the old fasting rules before the reforms. At the 11am Mass, he would send an altar boy to the communion rail to see if anyone was there to present themselves for Communion. Many weekends, no one would present themselves because they had had breakfast. There is a video on YouTube comparing the Extraordinary form to the Ordinary form of the Mass, where an old overweight long haired balding ex hippy priest does the Ordinary form, with hillbilly banjo music added to the video background. This is interspersed with video of a young sharp priest doing the Extraordinary form of the Mass (complete with dramatic classical music - as if that is part of the Mass). It makes the Ordinary form look very casual and colloquial. However, what many young people don't know is that in the years leading up to Vatican II, the Extraordinary form was performed very casually, and had lost much of the intentionality you see in the video. Before Vatican II, there were just as many out of tune singers, distracted families, noisy kids, as today. Many people did their Rosaries during Mass, because they couldn't understand the Latin, and because they couldn't see or hear the priest who was facing the altar without a microphone. Many of the things complained about in the email above are abuses of the Ordinary Form of the Mass rather than the Mass itself. We totally agree that any Mass can be irreverent, if abused. Pope Benedict put out a long pastoral document to bishops regarding abuses of the Mass and the Eucharist as well as a new translation which restores much of the Majestic language proper to the Mass. Another consideration is that there were two distinct stages in the implementation of the Ordinary Form of the Mass. There is the Vatican II document on the Liturgy called Sacrosanctum Concilium. It laid out broad strokes for reform of the Mass. Then there was the actual creation of the Novus Ordo. People get very passionate on every side of this discussion, and that makes sense, since there is nothing in this world more important than the Mass. The Extraordinary Form of the Mass is beautiful, biblical and reverent. Pope Benedict asked Bishops around the world to make it available wherever there is significant interest from congregations. The new Mass can also be beautiful and reverent. Many traditionalists blame most of our recent problems in the Church on the Novus Ordo (New Mass) and there can be a general disdain or suspicion for anything that came out of Vatican II. This, we think, is a mistake. The Quo Primum regarding the Extraordinary Form of the Mass of Pius V in 1570 is not binding on future Popes whose authority as Popes were equal to his own. He himself altered his Missal when, after the victory of Lepanto in the following year, he added to it the feast of Our Lady of Victory. In 1585, Pope Sixtus V restored the feast of the Presentation of the Virgin Mary, which Pope Pius V had removed from the Missal. Only 34 years after the publication of Quo primum, Pope Clement VIII made a general revision of the Roman Missal, as did Pope Urban VIII 30 years later. Quo Primum concerned a disciplinary matter in the Church, not an infallible teaching on faith or morals. Evidence of this is that an infallible teaching on faith or morals could not allow for such exceptions as "unless approval of the practice of saying Mass differently was given" or "unless there has prevailed a custom of a similar kind". In fact, the document states, "We in no wise rescind their above-mentioned prerogative or custom." Such matters of Church discipline always remain subject to future change by equal or greater authority. In light of this, wording such as "in perpetuity" must be understood as "from now on, until this or another equal or greater authority determines otherwise." Pope Paul VI held equal authority to that of Pope St. Pius V. Therefore, changes to the Mass under his authority were licit and valid. The text of Quo Primum shows that Pope Pius V recognized that his Extraordinary Form of the Mass was a NEW RITE, not the same thing that had been celebrated for 15 centuries. John Paul II, Apostolic Letter Novo Millennio Ineunte (6 January 2001), 57: AAS 93 (2001), 308. Address to the Roman Curia (22 December 2005): AAS 98 (2006), 52. What does the Vatican II document on the Liturgy, Sacrosanctum Concilium say? The Sacrosanctum Concilium is the Vatican II document on Liturgy. Below is analysis of its recommendations for the Mass. What does Vatican II Recommend? This doesn't mean bring a death metal rock band into Mass. However, reverent music, that raises the Spirit, which is in a style that is part of a "people's way of life" can certainly be considered. For instance, in some Churches modern praise and worship could be considered if there are many young families. In Africa, people have a natural sense of rhythm. Dampening that by forcing 16th century white European classical music on them is not the way to win their hearts for Jesus. Forcing them to stand up straight and never move to the music because white Europeans do it that way, is not what Jesus is about. The Church is growing fast in Africa. Note: Trying to force European culture on indigenous people was an absolute disaster in the early 1900s when the pre-Vatican Church set up residential schools for indigenous children in North America. In North America having too much movement (such as liturgical dance) during Mass would not be appropriate because it is not core to our culture. The Vatican is recommending Gregorian Chant be restored, and that music be Catholic. The document promotes studies and experimentation before proposing regional adaptations to the Vatican. Keep the essence allow for renewal of the form. Anything that distracts from the celebration of the Eucharist should be discarded. "the [Bishop's] commission is to regulate pastoral-liturgical action throughout the territory" under approval from Rome. The Rosary is great. Our family does it almost every day. But there was a tradition during the Extraordinary Form of the Mass to do it while the Priest was presiding, because the faithful didn't understand Latin, and they were not included as participants in the celebration. Having a lay person read the first or second Bible reading or leading prayers after the homily, demonstrates that reading the Bible and praying is not just for Catholic Priests and Protestants. Bible reading among faithful Catholics has increased since Vatican II. 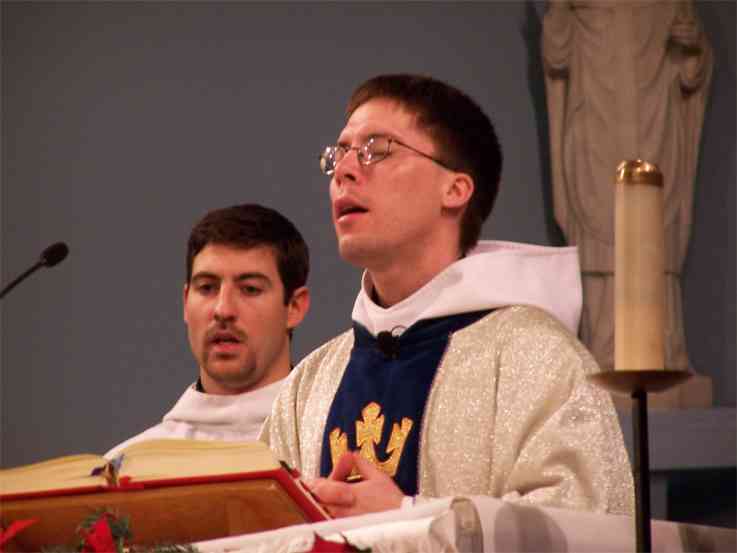 Having the priest face the audience is more controversial among Traditionalists. However, Vatican II never mentioned it. Personally we are more engaged an present when we can see everything. However, there is certainly a trade off. Remove repetition, restore important sections: For this purpose the rites are to be simplified, due care being taken to preserve their substance; elements which, with the passage of time, came to be duplicated, or were added with but little advantage, are now to be discarded; other elements which have suffered injury through accidents of history are now to be restored to the vigor which they had in the days of the holy Fathers, as may seem useful or necessary. (Sacrosanctum Concilium 50) Prayers for the faithful was restored, the blood of Christ now available to the laity. The priest used to make dozens of signs of the cross over the elements. These have been reduced. More Bible: The treasures of the bible are to be opened up more lavishly ...a more representative portion of the holy scriptures will be read to the people .... (Sacrosanctum Concilium 51) More Bible is good! We used to have only 5% of Old Testament Scripture and only on special occasions... now the Old Testament is a regular part of our readings. More Prayers: Especially on Sundays and feasts of obligation there is to be restored, after the Gospel and the homily, "the common prayer" or "the prayer of the faithful." By this prayer, in which the people are to take part, intercession will be made for holy Church, for the civil authorities, for those oppressed by various needs, for all mankind, and for the salvation of the entire world. (Sacrosanctum Concilium 53) Intercession prayer after the Homily had fallen out of practice before Vatican II. Prayer is a good thing! The Magisterium had the authority to change the Mass then, and it had the authority at Vatican II. What about the Vernacular? Why did they change from Latin to many languages? When the Traditional Latin form of the Mass took shape in the 5-7th centuries, Latin was a well know language but people don't speak Latin anymore. That in itself is not a reason to go to the vernacular, but it certainly was weighed in the decision. It is biblical for the Mass to be in the vernacular (in the language of the local people). When the Holy Spirit landed on the apostles in the upper room on the first day of Pentecost, which is the birth of the Church, they went and preached in many different languages, the languages of the people (Acts 2:4). In the old days, before Vatican II, many people would sit through the entire Mass doing the Rosary and not paying attention to what was going on at the altar, because they didn't understand Latin. We love the Rosary, but not during Mass. The Ordinary Form of the Mass has more participation from lay people who now do the 1st and 2nd readings and prayers for the faithful. This was not prescibed in Vatican II and there is much debate about it. However, it is certainly within the Church's right make this the norm, and the Sacrosanctum Concilium's call to engage the laity justifies it. Whether it is better or not is a question that will be debated for a long time. Many people "get it" when the Priest holds up the Eucharist while facing the congregation. They enter into the reverence. On the other hand, with the priest facing the altar it places the focus on the Eucharist. Personally, we feel more engaged when we see what is going on, rather than only seeing the back of the priest. Fr. Mark Goring, Companions of the Cross, Ottawa, Canada. We prefer music that is more modern, but that is our personal preference, rather than anything particularly liturgical. The Vatican is encouraging Gregorian music. The biggest reason we prefer the Ordinary form of the Mass, is that it was initiated by the Magisterium at Vatican II, and we think it is important to honour the authority of any Church Council. What about the hand shaking during the period around the consecration? The greeting and hand shaking during communion was never meant to turn into a big party. Recently, the Vatican has given explicit instructions to priests not to leave the sanctuary during the handshakes and not let it be too long or energetic. But it is fitting to meet people, because the Eucharist is not only the transubstantiated Christ, but it is also the people of God, the body of Christ. The problems in its [Vatican II] implementation arose from the fact that two contrary hermeneutics came face to face and quarreled with each other. One caused confusion, the other, silently but more and more visibly, bore and is bearing fruit... On the one hand, there is an interpretation that I would call "a hermeneutic of discontinuity and rupture" ... On the other, there is the "hermeneutic of reform"
The hermeneutic of discontinuity risks ending in a split between the per-conciliar Church and the post-conciliar Church. It asserts that the texts of the Council as such do not yet express the true spirit of the Council. It claims that they are the result of compromises in which, to reach unanimity, it was found necessary to keep and reconfirm many old things that are now pointless. The hermeneutic of discontinuity is countered by the hermeneutic of reform, as it was presented first by Pope John XXIII in his Speech inaugurating the Council ... he says that the Council wishes "to transmit the doctrine, pure and integral, without any attenuation or distortion". And he continues: "Our duty is not only to guard this precious treasure, as if we were concerned only with antiquity, but to dedicate ourselves with an earnest will and without fear to that work which our era demands of us...". It is necessary that "adherence to all the teaching of the Church in its entirety and preciseness..." be presented in "faithful and perfect conformity to the authentic doctrine, which, however, should be studied and expounded through the methods of research and through the literary forms of modern thought. The substance of the ancient doctrine of the deposit of faith is one thing, and the way in which it is presented is another...", retaining the same meaning and message (The Documents of Vatican II, Walter M. Abbott, S.J., p. 715). The Second Vatican Council, with its new definition of the relationship between the faith of the Church and certain essential elements of modern thought, has reviewed or even corrected certain historical decisions, but in this apparent discontinuity it has actually preserved and deepened her inmost nature and true identity. The Church, both before and after the Council, was and is the same Church, one, holy, catholic and apostolic, journeying on through time; she continues "her pilgrimage amid the persecutions of the world and the consolations of God", proclaiming the death of the Lord until he comes (cf. Lumen Gentium, n. 8). Those who expected that with this fundamental "yes" to the modern era all tensions would be dispelled and ... transform everything into pure harmony, had underestimated the inner tensions as well as the contradictions inherent in the modern epoch. Were there Protestants on the committee to reform the Liturgy? "Catholics have the Truth, Protestants have the fire." We have to remember that the largest Protestant denomination at the time of the council was the Anglican Church. In their Mass, the priest faces the Altar similar to the Extraordinary Form of the Mass. An Anglican minister said "The New Mass is more foreign to us than the Extraordinary Form of the Mass." Many Protestant denominations receive their version of communion sitting down. For instance, Pentecostal communion generally consists of going up to the front and picking up a small plastic cup of grape juice and a small piece of bread. They return to their seat and simultaneously drink and eat. It is nothing like the Ordinary Form of the Mass. We do not see the changes to the Mass as caving into Protestant demands, such as many traditionalists suggest. The Ordinary for of the Mass is still adjusting. The language has been revised to reflect the majesty proper to the Mass, the norms tightened up. Abuses have been addressed. Eucharist - What is it?